How Do You Find the Right Real Wood Desks for Your Home? What purpose will this desk serve? If you want to pay and store your bills, then the wood Shaker Media Writing Desk will probably do. But if you work from home and need serious storage space, the Sardis Credenza and Hutch Top may be a better fit. Who will use the desk? Small wooden desks such as the Mission Student Desk may work if your school-age kids will be using it, but you might want a solid wooden desk like the Jacobsville Single Pedestal Desk if you and a spouse will be sharing it. Where will you put the desk? 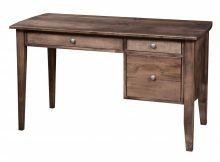 If you have limited space, a narrow wooden work desk such as the Forrest Writing Desk would be ideal, but if space isn’t an issue, large solid desks such as the Empire Credenza w/Organizer could be the right fit. Luckily, you don’t have to go far to find what you’re looking for. 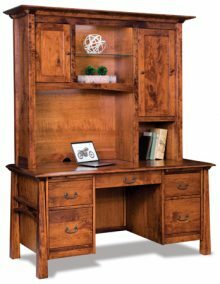 AmishOutletStore.com offers a wide variety of office furniture, going well beyond hardwood and solid oak desks. You can find accent pieces and practical furniture to complement your newest purchase — your Amish wooden desk. When you’ve bought a new piece like a desk made of solid wood, you want to make sure it stands out among the other furniture and draws attention. Try to match your décor with the desk you choose. 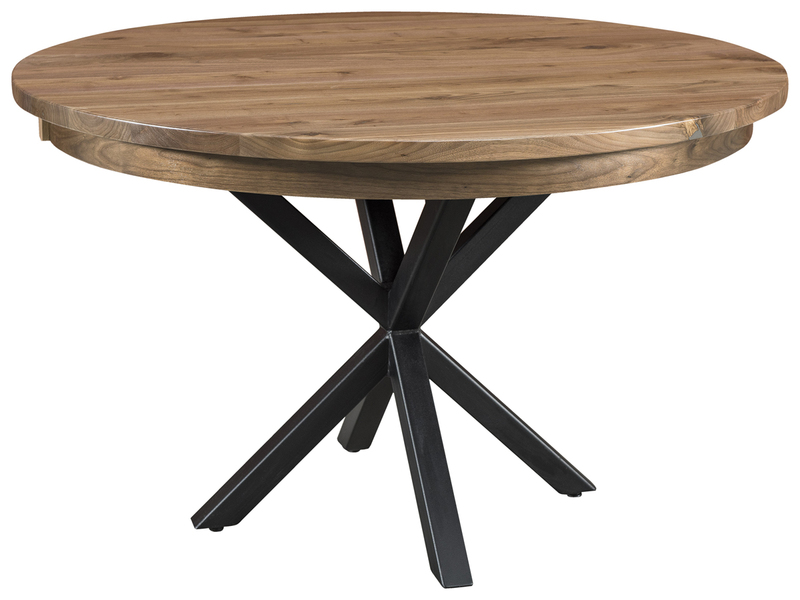 For example, incorporate the wood grain of your table desk wood into other accessories in the room, such as mirrors or benches. At AmishOutletStore.com, we believe in giving our customers lots of choices. Use the online design tool found on every product page to select from a wide assortment of high-quality hardwoods – such as oak, hickory and maple – as well as a huge selection of gorgeous stains and other customizable options where available. Skilled Amish artisans will then use your choices to create a solid wood masterpiece that will surely become a treasured family heirloom. As with any Amish-made product, you can expect your desk to retain its usefulness and beauty for many years to come. You’ll Always Get a Great Deal at AmishOutletStore.com! Looking for a great deal on Amish furniture? You’ve come to the right place! Order any item from our Amish Solid Wood Desk collection today and get up to 33% off the regular retail price. We also offer a discount for large orders and when paying by check. You won’t find a better deal on handcrafted Amish furniture anywhere else! 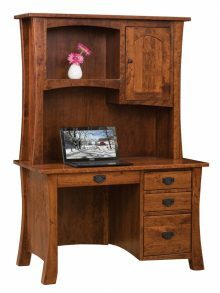 Check out our entire Amish Solid Wood Desk collection and order yours today!